Our Dog shampoo bar has been around since 2007. It is one of our biggest sellers and its popularity continues to grow. 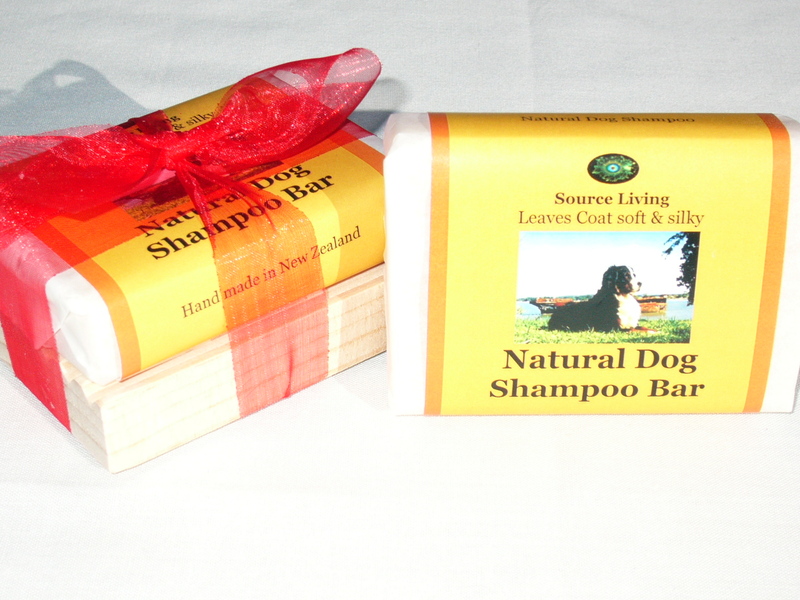 With a unique blend of flea repelling oils this soap has a rich foamy lather and is gentle on doggies skin. One customer described it this way "The fleas literally float to the top of the foam and you can see them being washed away". If you use this product regularly on your dog there will be no more need for those nasty flea treatments. You can also grate some into the wash when doing doggies bedding. The timber soap holder is available separately.